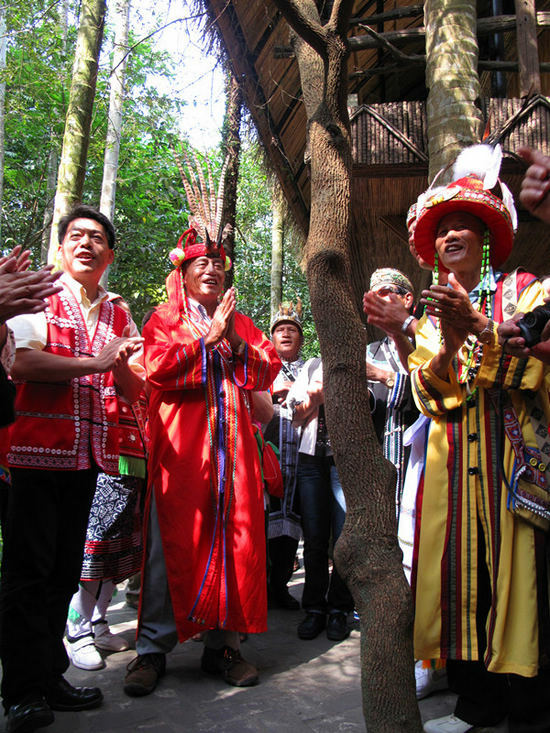 A delegation consisting of heads from Taiwan ethnic minorities on Wednesday visited the Baoting’s Binglanggu Valley. A delegation of leaders from Taiwan’s ethnic minorities visited Baoting’s Binglanggu Valley on Wednesday, on a day which was great for cross-strait cultural exchange and communication. Led by a local tour guide, the delegation visited Li villages and appreciated Li brocades made by the Li women as well as the old tattooed local women, who in fact look similar to those found in many Taiwanese ethnic groups. "When I come to Hainan, I can witness first-hand the area’s development and the great changes that are taking place here. The local government has attached great importance to traditional ethnic groups," said Mr. Zhang Chengzhong, the head of Amis ethnic group, on his visit. 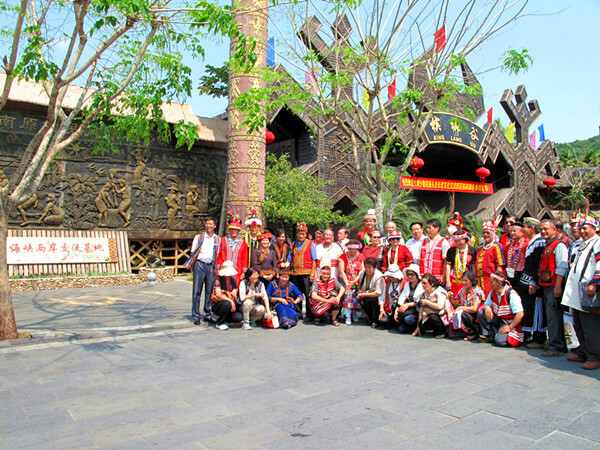 Upon completion of the visit, they also watched spectacular live traditional performances by Li and Miao dancing groups. The delegation said ethnic groups on both sides of the Taiwan Strait should exchange ideas and learn from each other to transform and diversify development, as well as strengthen cooperation to ensure common development.